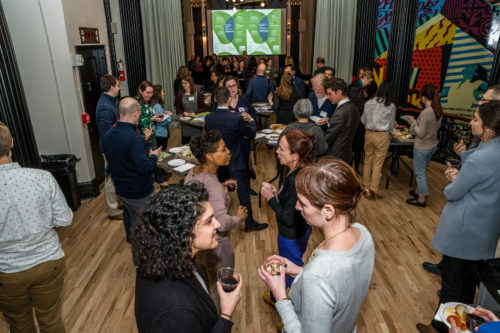 New Yorkers for Parks has collaborated with many organizations over the years, from NYC Parks to corporate professionals to small community groups. This makes our role as a convener one of our most important functions – bringing people with diverse perspectives and backgrounds together to discuss the issues that impact parks and open spaces in New York City. As a convener, we can facilitate important discussions and utilize our network to connect individuals and organizations who can build on each other’s work, provide advice and expertise, or join together for a common purpose. 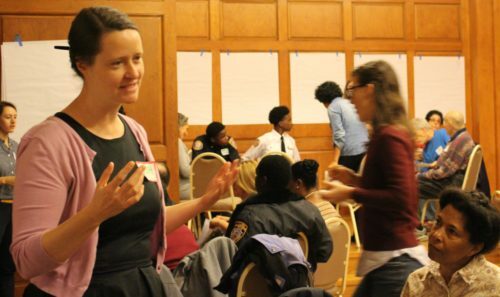 Our two most prominent convening programs are our Boro x Boro meetings and our Open Space Dialogues. Our annual Boro x Boro meetings series connects local parks advocates in each borough to share issues and identify solutions together, culminating in a citywide meeting, which will bring all five boroughs together to reflect on our action steps and identify the roles our local elected officials can play in assisting us. Our Open Space Dialogues, a series of panel discussions featuring experts from various industries and diving into the value, development, design and delivery of open space in NYC, as it relates to neighborhood rezonings.